Born March 4, 1928 in Mannheim, Germany; came to the United States in 1939. Inducted into the American Academy of Arts and Letters in May 2001, Samuel Adler is the composer of over 400 published works, including 5 operas, 6 symphonies, 12 concerti, 8 string quartets, 4 oratorios, many other orchestral, band, chamber, choral works, and songs, which have been performed all over the world. He is also the author of three books: Choral Conducting, an anthology (Holt, Reinhart, and Winston 1971, second edition Schirmer Books 1985) Sight Singing, (W.W. Norton 1979, 1997) and The Study of Orchestration, (W.W. Norton 1982, 1989, 2001). He has also contributed numerous articles to major magazines and books published in the U.S. and abroad. Adler was educated at Boston University and Harvard University, and holds four honorary doctorates (Southern Methodist University, Wake Forest University, St. Mary.s Notre-Dame, and the St. Louis Conservatory). His major teachers in composition were: Herbert Fromm, Walter Piston, Randall Thompson, Paul Hindemith, and Aaron Copland; in conducting Serge Koussevitzky. He is Professor-emeritus at the Eastman School of Music where he taught from 1966 to 1995 and served as chair of the composition department from 1974 until his retirement. Before going to Eastman, Adler served as professor of composition at the University of North Texas (1957-1977), Music Director at Temple Emanu-El in Dallas, TX (1953-1966), and Instructor of Fine Arts at the Hockaday School in Dallas TX (1955-1966). From 1954-1958, he was music director of the Dallas Lyric Theater and the Dallas Chorale. Since 1997, he has been a member of the composition faculty at the Juilliard School of Music in New York City. Adler has given master classes and workshops at over 300 Universities worldwide, and in the summers has taught at major music festivals such as Tanglewood, Aspen, Brevard, Bowdoin, as well as others in France, Germany, Israel, Spain, Austria, Poland, South America, Korea, and China. Some recent commissions have been from the Cleveland Orchestra (Cello Concerto), the National Symphony (Piano Concerto #1), the Dallas Symphony (Lux Perpetua), the Pittsburgh Symphony (Viola Concerto), the Houston Symphony (Horn Concerto), the Barlow Foundation-Atlanta Symphony (Choose Life), the American Brass Quintet, the Wolf Trap Foundation, the Berlin-Bochum Bass ensemble, the Ying Quartet, the American String Quartet to name only a few. His works have been performed lately by the St. Louis Symphony, the Los Angels Philharmonic, the Berlin Radio Symphony Orchestra, and the Mannheim National Theater Orchestra. Besides these commissions and performances, previous commissions have been received from the National Endowment for the Arts (1975, 1978, 1980, and 1982), the Ford and Rockefeller Foundations, the Koussevitzky Foundation, the City of Jerusalem, the Welsh Arts Council and many others. Adler has been awarded many prizes including a 1990 award from the American Academy of Arts and Letters, the Charles Ives Award, the Lillian Fairchild Award, the MTNA award for Composer of the Year (1988-1989), Special Citation by the American Federation of Music Clubs (2001. In 1983, he won the Deems Taylor Award for his book The Study of Orchestration. In 1988-89, he was designated Phi Beta Kappa Scholar, in 1989 he received the Eastman School’s Eisenhard Award for distinguished teaching, in 1991 he was honored being named the Composer of the Year by the American Guild of Organists. Adler was awarded a Guggenheim Fellowship (1975-1976), he has been a MacDowell Fellow for five years, and during his second visit to Chile, he was elected to the Chilean Academy of Fine Arts (1993) — for his outstanding contribution to the world of music as a composer.. In 1999, he was elected to the Akademie der Keunste in Germany for distinguished service to music. While serving in the United States Army (1950-1952), Adler founded and conducted the Seventh Army Symphony Orchestra, and because of the orchestra’s great psychological and musical impact on European culture, he was awarded the Army’s Medal of Honor. 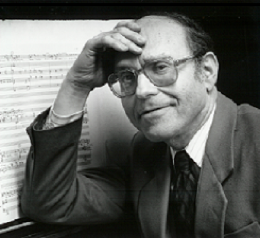 In May 2003, Adler was awarded the Aaron Copland Award by ASCAP on the occasion of Adler’s 75th birthday for life-time achievement in Composition and Teaching. Adler has appeared as conductor with many major symphony orchestras both in the U.S. and abroad. His compositions are published by Theodore Presser, Oxford University Press, G. Schirmer, Carl Fischer, E.C. Schirmer, Peters Edition, Ludwig Music, Southern Music Publishers, Transcontinental Music Publishers: and recorded on Naxos, RCA, Gaspara, Albany, CRI, Crystal, New World, and Vanguard.